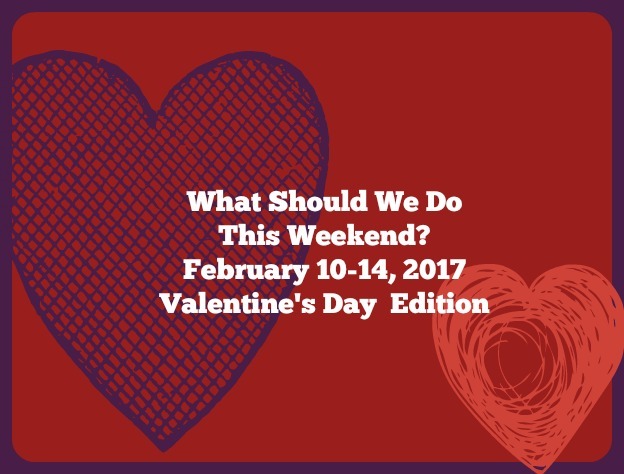 valentine's day Archives | What Should We Do Today? Take the whole family out for one of these family-friendly Valentine’s Day Dinner Deals in Columbus! Who can get a babysitter on Valentine’s Day? If you’re raising your hand, then feel free to scroll on past! “Stuck” with the kids on Valentine’s Day? Take the kids to one of these 3 Columbus restaurants who are offering you a little extra incentive for spending the day of love with your dependents. 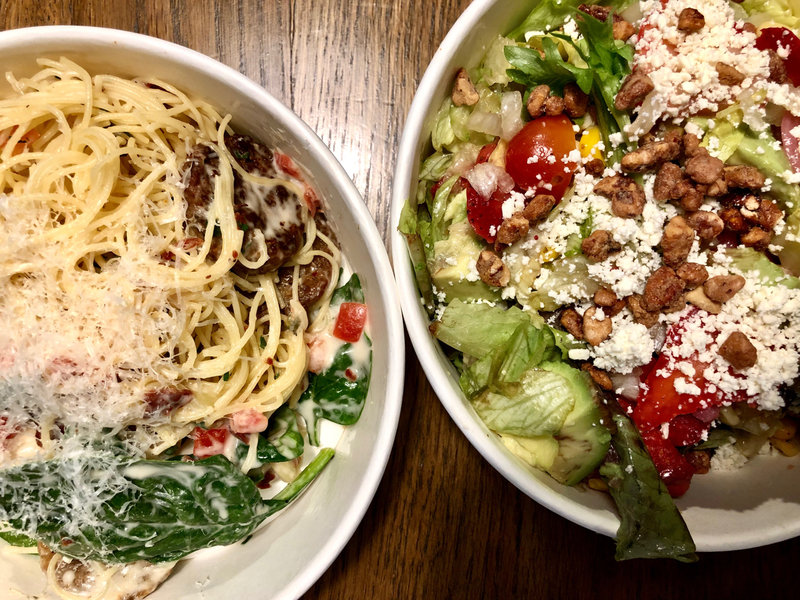 From 5:00 PM – 10:00 PM on Valentine’s Day, (Thursday, February 14th) all Piada restaurants in Columbus will be offering buy-one-get-one-free on all entrees. Check this link for your nearest Piada location! Piada offers a kid’s menu that includes a kids pasta, chicken fingers or a kids meatball. Meals come with your choice of chocolate milk or apple juice. Kids meals are for kids ages 12 and under and range from $4.99 – $5.99. True story, my oldest son cries every time I say we’re going to Piada. “Why don’t you ever take me where I want to go?” he whines. And then legitimately says, “I love this place” every time he eats his food. I am not lying. I try to remind him of this each time but it’s futile. My kids love the pasta and the chicken fingers. Disclosure: I am a Piada partner. On February 14, Rusty Bucket is holding their Family Valentine’s Day event. Kids ages 12 and under can get a free meal off the kid’s menu, and they will also get a Cupid’s Cup Kiddie Beverage. For a full list of participating restaurants and to make a reservation, visit www.myrustybucket.com. Can’t make it to Rusty Bucket on Valentine’s Day? Pick up the Bucketed Bookworm Bookmark Tracker and fill it out with 5 books your child has read. The next time you eat there, your child will earn a complimentary kid’s meal! Also a true story: my kids LOVE Chick-fil-A and would eat there every time we ate out if we let them choose. But who can blame them? They truly do have the best chicken nuggets! 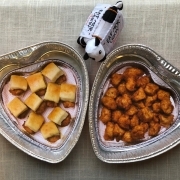 On Valetine’s Day at Chick-fil-A on Sawmill you can get your Nuggets or Chick-n-Minis in a heart-shaped pan! This fun twist is going on February 13-15, 2019 while supplies last! 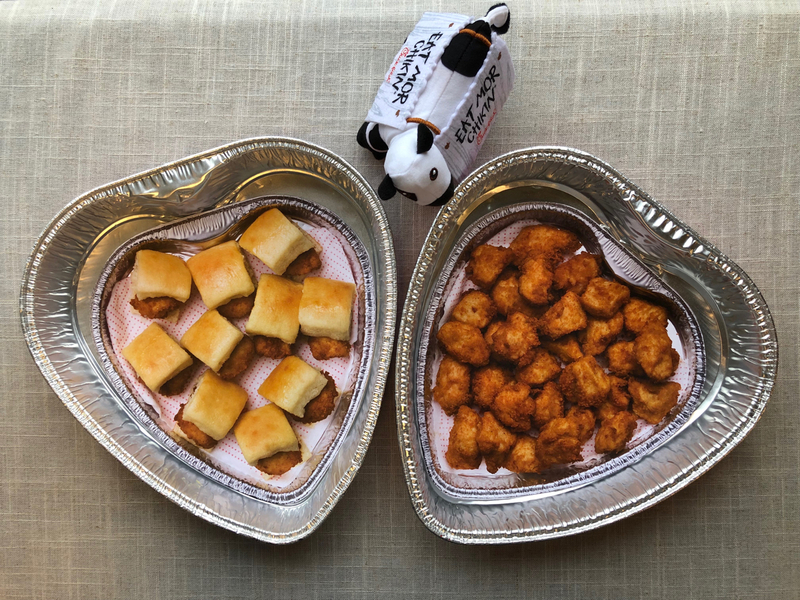 Chick-n-Minis are only available during breakfast hours (6:30 AM – 10:30 AM). 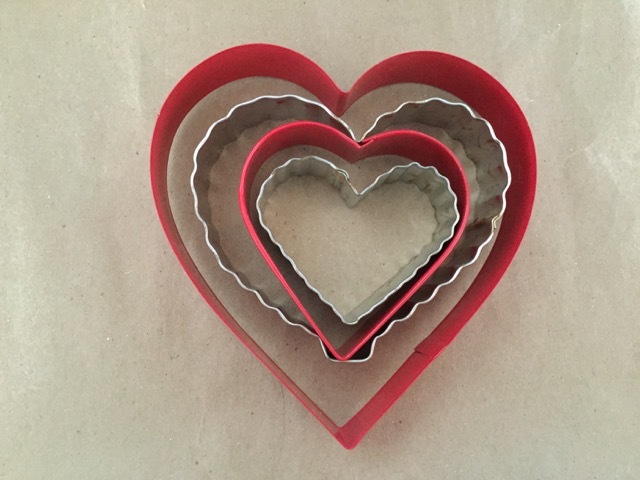 Remember to request your heart shaped tin when ordering! Feeding your family? 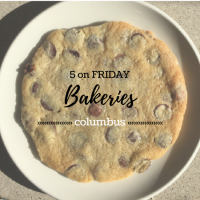 Here are some more ideas for Columbus and Central Ohio restaurants, bakeries, desserts and more! 5 amazing bakeries in Columbus, Ohio. 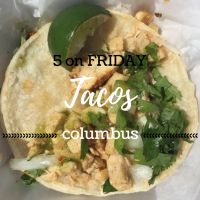 5 of our favorite taco spots in Columbus, Ohio! 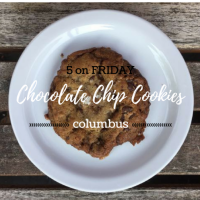 5 of the best chocolate chip cookies in Columbus, Ohio! 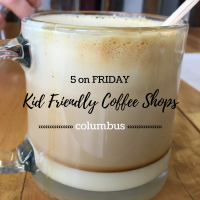 5 kid-friendly coffee shops in Columbus, Ohio! 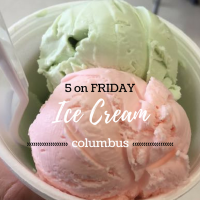 5 unique places to get ice cream in Columbus, Ohio! 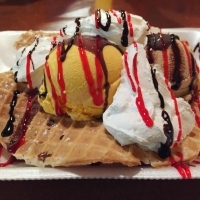 The West Side is the Best Side when it comes to ice cream! Valentine’s Weekend and President’s Day! I’ve been collecting a list of ways you can celebrate Valentine’s Day with your kids this weekend! Monday is President’s Day, so you might also be looking for something to do on Monday with kids who are off school! Saturday, February 13, 2016 – 10:30AM – 11AM – Celebrate Valentine’s Day at peapod play cafe – an all-ages cookie decorating party and craft. Saturday, February 13, 2016 – 11AM-2PM – Woodland Valentines & Heart Cookies at the Franklin Park Conservatory – create a craft and decorate a Valentine’s Day cookie. $1 per cookie. Saturday, February 13, 2016 – 2PM-3PM – Valentine’s Day Fun at Shepard Library – stories, crafts and treats! Monday, February 15, 2016 – Free Day at the Columbus Zoo! Monday, February 15, 2016 – 10AM-5PM – special hours at COSI.  http://whatshouldwedotodaycolumbus.com/wp-content/uploads/2016/02/IMG_8969.jpg 480 640 Julie Miller http://whatshouldwedotodaycolumbus.com/wp-content/uploads/2018/01/What-Should-we-do-today-columbus-NEW-blue_03.png Julie Miller2016-02-11 09:31:332016-02-11 14:28:45Valentine's Weekend and President's Day!